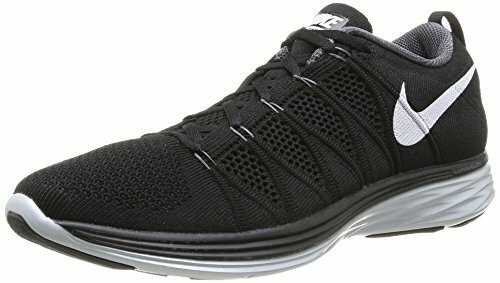 Best Amazon running shoes. 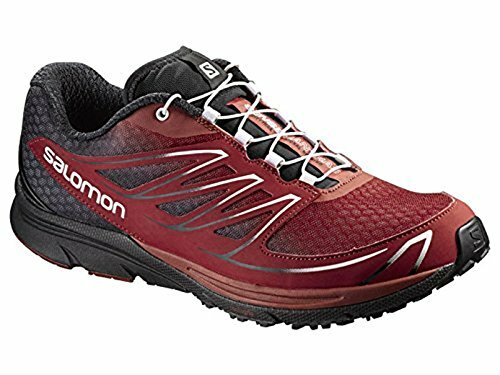 Whether you are a seasoned marathon runner or one just starting to jog around the neighborhood a couple of times per week, you need to get a good pair of shoes to run in. And not only that, there might be specific needs that you have as a runner based on your foot chemistry or any injury you might have gained over time. 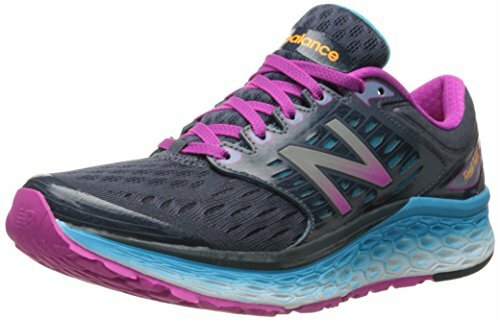 This article will help you with a comprehensive guide to give you the best shoe for your different possible running needs, as well as recommend brands and give you the pros and cons of each. Also, we recommend that you invest in a good foam roller. · RUNNING OR FIVE FINGERS? Stretching after a run is important, but a good roller will also help stretch out your outer muscles to give you a more relaxed and overall healthy muscle. We will recommend some of these for you as well, and we are confident that with these tips in your arsenal, in no time you will be going for good runs and enjoying them free from injury and for as long as you want to go on the road. 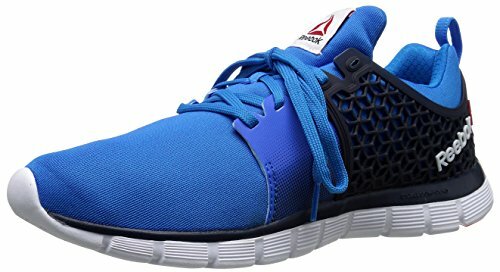 These Reeboks are incredibly comfortable and lightweight, but not incredibly pricey. The top part of the shoe is flexible and the bottom has a great cushion. The lightweight feature will also help runners move faster. 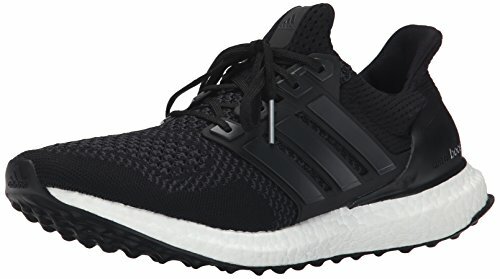 Some athletes or casual runners might also consider going the non-traditional route and buy the five-finger shoes rather than the traditional shoe. The five finger shoe describes the shoe design well in that they fit like gloves over the feet and display the five toes. They look a bit like toe socks except that the material is more rubbery. 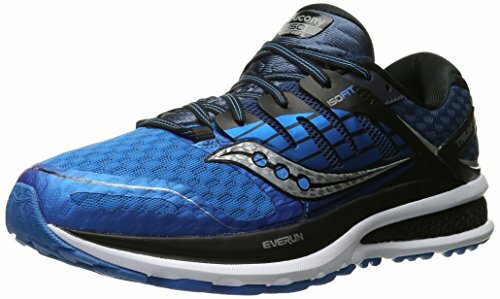 The design immediately makes you wonder about them, and if they are an effective shoe, but are they better than the average runner’s shoe? The idea behind the five fingers design is that the foot and individual toe digits can move freely while the runner is in motion and so that the foot can maintain its original shape, while the bottom of the shoe provides rubber that will grip like other good shoes for running. It essentially is supposed to mimic running barefoot, and there are allegedly some benefits for doing so. It is supposedly healthier in that the foot has to adapt to different surfaces and to running on the ball of the foot to avoid more shock, as well as develop finely turned muscles in your feet to help protect the arches. Overall, your muscles are said to develop better and provide more overall safety naturally without depending on the false support of a runner’s shoe, at the end leading to improved performance on top of being a more healthy alternative. Do the five fingers work? Users do report a sense of freedom as well as enjoying the feeling of the ground more underfoot, such as soft textures like grass and more firm ones like stones. Also, if your feet are sore at first from running on more rough surfaces, they do become stronger and adapt over time. Your calves might be sorer at first too, but you will be rewarded in the end with more sveltely defined muscles here. They also keep your feet cool. The downside, however, is that they let in water. Also, the protection is not as good as with normal shoes. For example, if you stub your toe, you might bruise it more, or if you step on a sharp stone, you will feel it more. Finally, the toes might be hard to fit to your foot, and the look might not be exactly what you’re going for. But if you’re wanting to try something different and are keen on stepping out of the normal, mundane structure, these might be worth a shot once or twice to see how you like them as compared to the rest of shoe-kind. Having these feet shouldn’t keep you from running or making you a successful one. 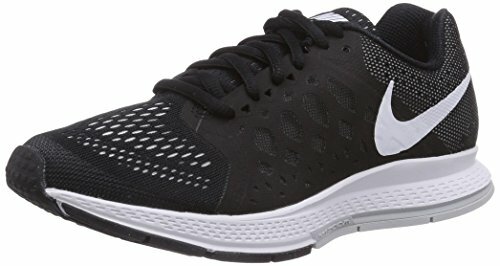 If you are a heavier set runner, or if you just naturally are more flat-footed, these shoes are designed to help control the foot from moving too much within the shoe and also to give support to the foot to give a better arch where there isn’t naturally one, giving more support over longer runs. This shoe is made to help support the arch of the foot. It is not a large arch support, but enough to help a runner when long-distances wear on the runner’s body and the running form goes down as fatigue sets in and injury is more likely when form deteriorates. 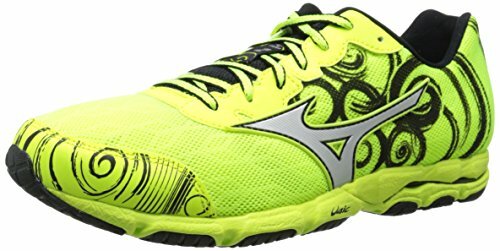 This shoe is great for those runners that are heavier and have flatter feet, or the naturally flat-footed runner. The feet can sometimes move around in the shoe, and this one helps with pronating. Pronating is when your foot leans inward when you run due to your foot. This shoe helps control this motion while you’re running to give you less stress on the arch of your foot as you run. Sometimes with this condition there is also a need to put inserts in your running shoes for extra added support. Here are a couple of recommended inserts and how they can be useful for you. 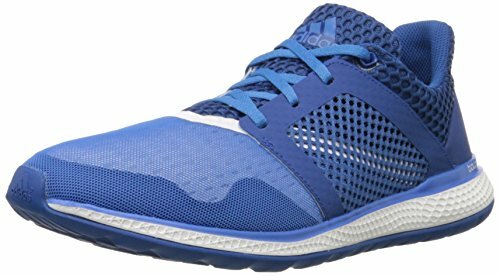 This one is good for runners who just want to reduce the amount of shock to the body that comes from pounding the ground pavement while running with flat feet. It also is good for those who are getting older and finding that their bodies aren’t soaking up the shock like they used to. This sole insert is one that you can shape to your foot and customized. You simply put the insert in your shoe, point your foot forward straight on, and press the sole down into the shoe, but not too firmly. 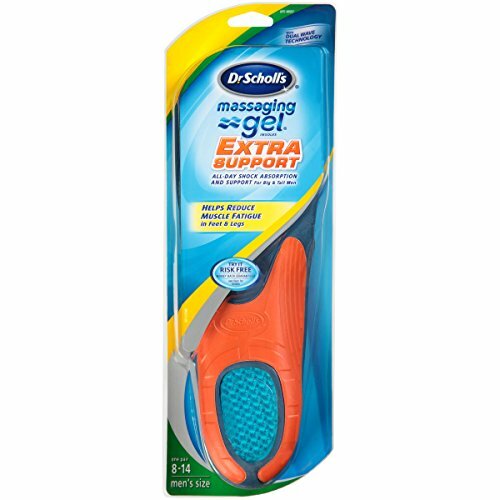 For these feet, with the tendency to pronate, you might want to get a more comprehensive, permanent arch support. 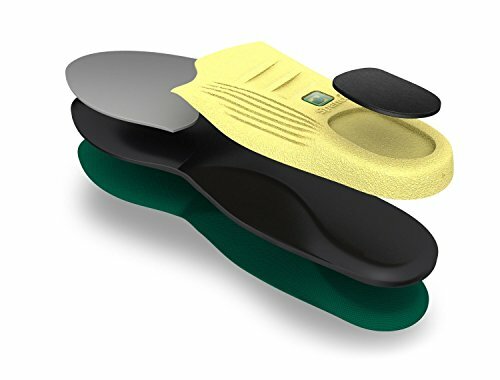 This one will help as it is a metatarsal pad with cushioned lumps supporting the area right behind the ball of your foot. This supposedly keeps your feet from pronating because it naturally makes the toes separate, or splay, to keep the foot from going inward when you take a step as you run. This is a common condition of the foot that many runners develop. And beware, because once you do develop it, it is almost impossible to get rid of. It is mostly noticed by runners as a pain, usually a sharp one, that goes into the heel when you’re running. 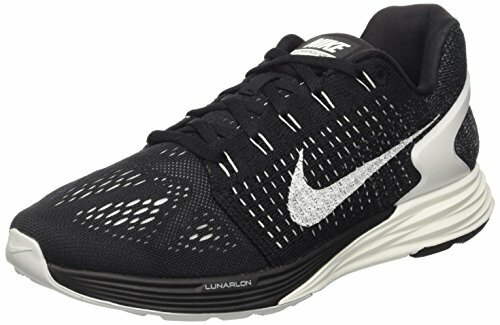 You are more prone to it if you are wearing footwear that is not good while running, so a preventative measure would be to make sure you buy good running shoes. However, if you’ve already developed the condition, here are a couple of ideas for you. 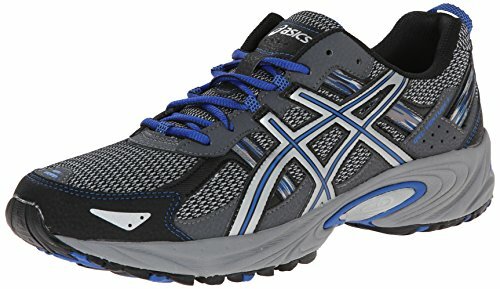 This shoe is a great combination of a good heel and also arch support for the runner. 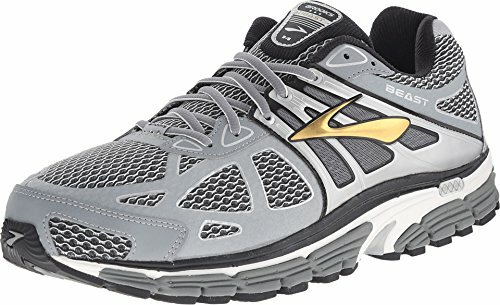 These shoes are slightly more stiff than their competitors, which provides good foot stability, and also a better-supported heel, which especially helps to not aggravate the condition. 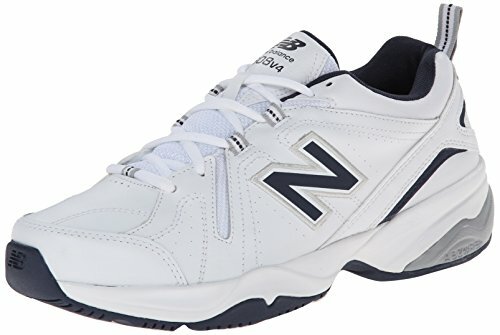 Why the New Balance? Mostly because they are very, very comfortable. They have a strong sole in the middle which helps with arch support and protection from shock, which will also help the heels affected by plantar fasciitis. They also help with motion control, which gives more support for such a condition and should help control it. 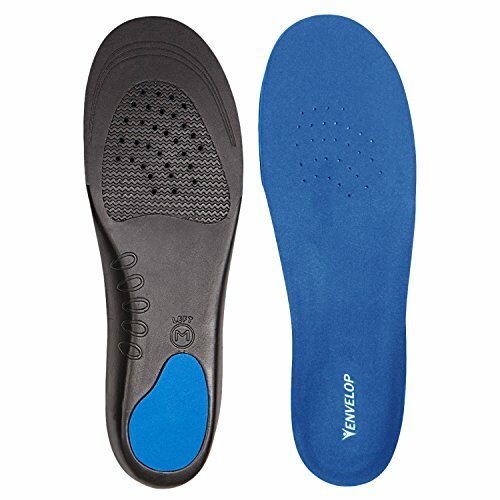 This insole helps with feet realignment and decreases foot pronation, so if you have this problem you might want to give these a go. Also you can use these in your everyday walking shoes, which might help to have the insoles in throughout the day to fight the Plantar condition if it is a long-term condition. This is one that can help you avoid pain. If your condition is keeping you in pain for most of the day, for example, you can also wear these insoles throughout the day to help alleviate the pain as you walk as well as when you run as it works with any shoe. Just make sure that you choose the right sole size. Are you thinking: “I don’t have flat feet so I should be fine”? Well, good and bad news. Bad news is that high arches can also lead to negative side effects such as shin splints, ankle strain, stress fractures and yes, even the fasciitis. The good news is, the right shoe will cut down on these side effects. A couple to consider are below. This shoe has a great cushion to help your foot with comfort, and a neutral support system to help give a good support to your high arch. This shoe is also a neutral one for the high arches, and has another very soft cushion for the foot which will help with shock absorption. Again, with high arches you might find a comfortable insole another option. Generally speaking you will want a good arch support and a good cushion beneath the heel and front of the foot. Spenco are probably the best insoles for high arches, and there are several different kinds to choose from. This cross training design is specifically made for sports and gives a great cushion made for high-impact sports and also supports the heel and arch, two areas that will need it with the high arch. Along with medication and rehabilitation, the right shoe for those with knee trouble could help a lot. 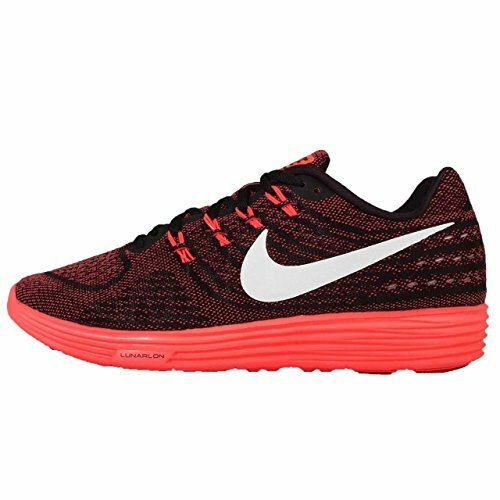 This shoe offers amazing cushioning and shock absorption, which is what you will need to absorb to keep the knees in good condition. The easier you are on the knees as far as pounding the pavement, the better. 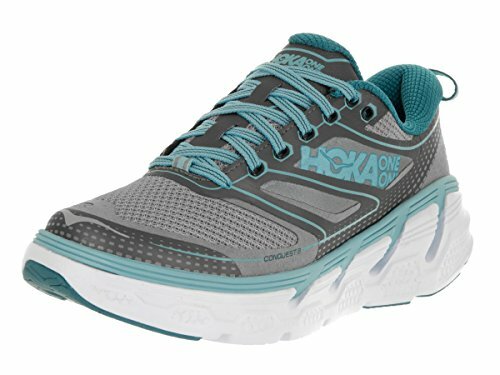 This shoe has two features, the foam-core sole to increase shock absorption, and the yarn-like upper shoe part, both of which will help support your foot and go easy on the knees because of its support and lighter weight. 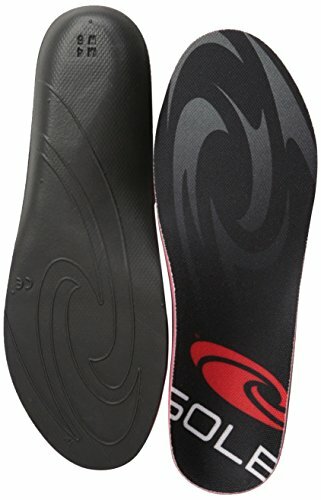 Many specialists say that insoles are not necessarily helpful for knees while training, but if you are going to get one, you will probably want to go for one that will give you the greatest amount of cushion to better help with shock absorption. 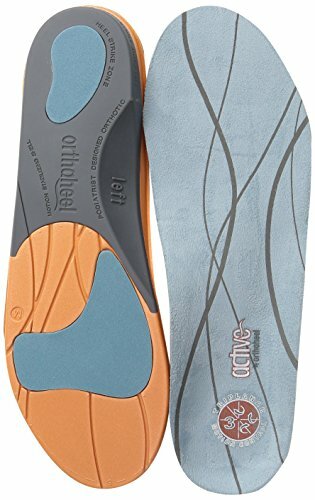 These insoles are designed for wear over a long period, and are known to improve overall comfort and reduce injury, so it might help to prevent knee injury or keep from aggravating one. The best advice to give for shin splints and running shoes is said in two words: shock absorption. The better cushion you have, the less impact you will have on your shins, which will give them time to heal. 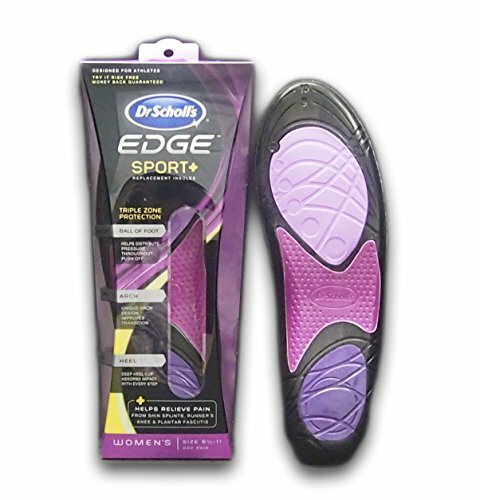 These have an amazingly thick cushion to help with shock absorption and also are durable enough to be worn every day on a number of surfaces.Best advice on insoles for shin splints With an insole for shin splints, again, you are looking for cushion and comfort. Try this one below. 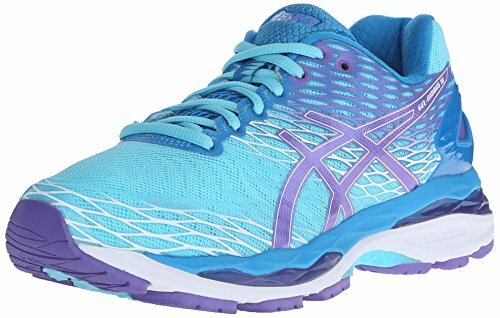 These are specifically designed for runners and those with shin splints, and also helps reduce shock by 40% when exercising with its thick cushion at the ball and heel of the foot and arch design. 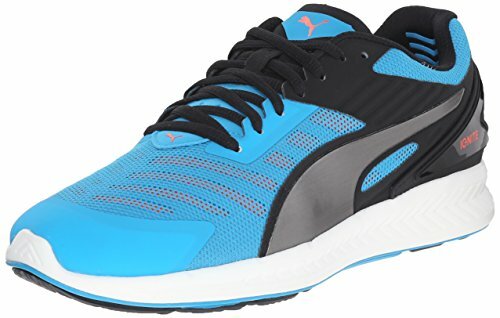 We have covered the best shoes to run in, the possible benefits of the five finger shoes, and the best shoes depending on your specific needs and various problems and injuries, as well as foam rollers that will help for overall muscle pain and tightness relief as well as health. A combination of these recommendations and trying different combinations depending on your needs will eventually lead to finding the best formula for you, which will be different again for each person and customized, but this article should help you get started and also give enough trial and error to get you on a good regimen designed for your needs and give you a great running experience for many years to come.